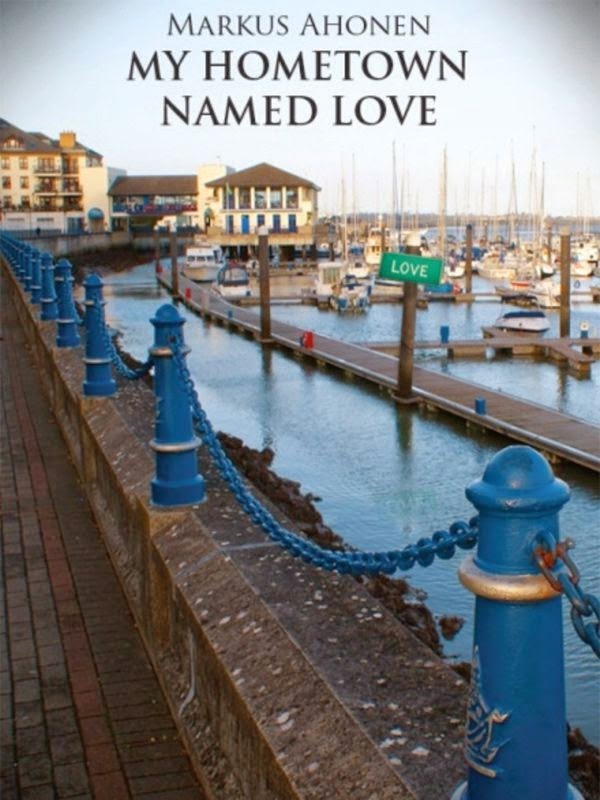 My Hometown Named Love is a collection of twenty short stories about love for women seen from the men's point of view. These universal stories could happen anywhere, but the reader can find their way in Ireland, UK, Finland, Italy, France, United States or on a road trip across Europe. The warmly melancholic stories come alive as we have all yearned for love we were hoping for, or had to let go. That warm year, I stopped escaping my life. Settled down. Started getting ready for the rest of my life, with or without anyone. I thought some day I’d find that someone special. I was right. How heart-wrenching it sometimes is to find the meaning of life. It happened sooner than I had ever thought. After years of searching, I had finally found a suitable place to live, a small village by the water. With lots of small cafes and restaurants. Pretty like a jewel. Idyllic as the utopian village in a fairytale. In the first couple of years I considered moving away. I didn't really miss any other place. Maybe I just wanted to escape my life, which didn't feel happy anywhere. Then I divorced and understood that behind that discomfort had only been the huge rock inside my head, the shaking house of a bad marriage, which had felt more like a prison full of power games and manipulation than a warm home full of the scent of freshly baked buns. I tried to remember when I had been happy the last time. I ended up going back around twelve years before I stopped counting. After the divorce I stopped considering moving away. Soon I didn't think about it at all anymore. I had met Her. Made her eternal as a picture in my memory, a snapshot of a woman standing in a crowd by the market place in the middle of the village. She was wearing blue jeans and a black shirt, and she had a child sitting in the stroller in front of her. The expression in her eyes was bright and intense, but warm. The corners of her face were nicely rounded, and her shoulder-length hair was moving in the slight wind. My heart made a strong bump. Another. That woman wasn't from this world. In the days after, I saw her every now and then with her child in the park, in the streets of the village, in shops, by the sports pitches and summer events. If I took a walk, I could almost count the probability of how I'd bump into her. Soon I realized I was planning my walking routes hoping to see at least a glimpse of her. Maybe my luck was that after my divorce, I had made a decision. I had decided to do everything to make my life and my child's life better than it had been. I wouldn't get stuck in the sofa and eternally drown in self pity. I wouldn't dive into substances to forget the past and get by in daily life. I'd keep up my health and mind by getting fit and doing some socializing. Developing myself. If nothing was going to bring me more possessions to replace the ones I had lost in the divorce, at least I'd have the richness of wisdom, wealth of spirit. If my riches couldn't be measured with the scale Scrooge McDuck uses, at least I could get a good value in my scale. You can get a lot of things with some ten-grands, if you invest them to the right places. And not everything can be bought with money. Along with all of the miles I was walking and running, I started going to the library more often to find information about cultural events. Some were free and were still (or as a result) of very good quality. One Thursday I saw a notice on the lobby board for a series of lectures about local history. The first lecture would be on Tuesday, the same week when my child was to be at his mother's. Maybe this was the right way to integrate myself into the local community. To understand the meaning of local history and how it created the idyllic basis for the present local culture. The small auditorium was only half full. Some elderly gentlemen and ladies interested in history. A group of middle-aged hobbyists and some individual enthusiasts. And suddenly her. With her dark hair and slender appearance. She walked in at the last minute and sat next to the person sitting behind me. For a moment I thought she had chosen the place on purpose, to see how I was interested in the subject. How I'd react to the occasional dry humor thrown in during the middle of the lecture. Maybe she had attended the lectures of the same old, jovial gentleman before. The small crowd laughed. She laughed slightly after me, as if she was delighted seeing me enjoying. One day after the third lecture, I was walking far away from home when I saw a familiar car, a small and comfortable French model. Slowing down, stopping at the bus stop. The window rolled down. “Would you like a ride?” a familiar female voice said in a friendly way. I saw her leaning over the passenger seat. “Sure.” I climbed in and sat next to her. “I've seen you in the lectures,” she said. She told me she was from elsewhere further away and had only moved to the village recently. She was trying to connect to the new hometown through lectures. This was her second series. I got off by the market square and watched, stunned, as she drove away, waving her hand as she did in the coming times. The following week I sat in the third row of the lecture auditorium and left one seat empty in the end of the row. She sat there as if I had asked her to. This time the lecture was boring. I was about to fall asleep but didn't dare leave. I saw her yawning, too. I had a notebook with graph paper in my hands. I remembered times in school. Dull hours that could be filled with reading. The need to kill time. Suddenly I had a thought and marked a cross in one of the boxes. I gave her the notebook and the pen. In a fraction of a second she got it and burst out a short laugh. Most of the auditorium turned around to watch her. “Oops!” She put her finger in front of her mouth. Her dark eyes wandered side to side, observing the reactions of the crowd. She wasn't embarrassed. Maybe she felt everything as I did, as mutual joy, which doesn't usually show itself often enough. That moment I fell in love with her, if I hadn't done it before. The worst was that she wasn't available. We saw each other in the lectures. Once we ended up in the same Historical Society coffee event and spent time together openly like if we had been a young couple. At one point I saw her nearly daily. I felt as if she had learned my routes by heart, and I had learned hers. Still I kept my heart covered. I couldn't do anything about her. I managed to nearly violently lock her in the back part of my brain. Something happened in the next spring that made the fences in my head collapse and gave her permission to run fully in my mind. I don't know if it was her touch on my shoulder and the questioning look in her eyes. Maybe she wanted me to do something that would've given her permission to go over her border fences. Around the same time they started another series of lectures in the same place. We realized we had ended up in the other lecture, too, without knowing. We sat in the chairs next to each other. There were now two lectures in the week. It was painful for me. The days between the lectures I could hardly finish my work when thinking of her. Sometimes I sped up with my work thinking I'd get to see her if I did my work swiftly enough. I started playing more sports so I would be tired enough to sleep at least a few moments overnight. It didn't help. I lay on the bed night after night just thinking of her. I was afraid I'd died of a heart attack or gone crazy. My heart was about to run away from my chest when I remembered her eyes, her soft and peaceful voice. Her way of being funny and her understanding of timing, whether it was an appropriate or completely inappropriate time to laugh. Her beauty, which I couldn't keep the eyes of my soul off. I was about to drain myself with my thoughts. In my head I planned how I would tell her everything I felt about her face to face. When I got closer to her, I backed up. Maybe inside myself I thought I was doing something wrong. I had seen her a couple of times with her family at local events. She had hardly said hi. Once she came to talk to me, so the people we knew wouldn’t look suspicious, even though we in reality didn't have anything going on. Often she walked by me in the crowd only one or two yards away without saying anything, but so I'd notice her. One weekend I had visitors, a couple and their female friend. She saw us in the village together. I thought I saw a roughly hidden gesture of pain on her face. Maybe she had feelings inside her that she couldn't block, yet she couldn't do anything about them because of her situation. She was unavailable, but I could find someone else. The next few times I saw her, I was alone again. She looked relieved. The pain started wrenching me from inside again. My nightly sleep had dropped to three hours per night. During those hours I had dreams about her. Between the lectures and occasional times we passed by each other on the street, I tried to medicate myself with even more exercise. I walked and jogged. I made my way far away from the village just to get out of the routes where I usually bumped into her. One time I saw her far away from home in a strange place, like she had followed me or I had been led there by destiny. A couple of months later I saw her far away from home again. I never bumped into any other acquaintances accidentally far away from home, but I bumped into her again and again. I started looking for meanings from her words. Once she mentioned a nearby village, a place I hadn't gone to in a couple of years. I wondered if I should've gone there and ended up bumping into her there also. I don't know. I skipped it. At the end of spring only one lecture was left. After that there was an organized walking tour through the streets of the village. Suddenly her husband had decided to crash the occasion. They didn't come near me. The tour continued from place to place. We came to a house which had once been inhabited by a famous author. The local guide told us that the author’s major work was written in this house. The novel was about a man and his painful, unconquered love for a beautiful woman. I felt my poker face melting. At that moment her husband went somewhere. I saw her face. She was digesting her thoughts, as if she was trying to make a decision. Face the storm. Leave the safe beach behind her and go along with the tide. Me. Just as I wanted to tear her from her safe harbor and take her with me. Right there. For a moment in that afternoon wind I thought she was expecting that. Hoping for it. Instead, I raised my hand to my heart. Maybe she'd get my message. Maybe one day I could tell it to her. How I could express myself to her even in the crowd from further away? When you see me holding my hand on my heart, you know I'm thinking of you. I saw her raise her hand to her heart. The series of lectures ended. Life continued. My walks and jogs were becoming longer and already reached the borders of the county. To make my way further, I bought a bike. Still I realized I was always coming back. Thinking of her day and night, all those times I didn't have any other woman in my life. I saw her and her family at different events. Watched through the crowds their happiness. I didn't know if that happiness was real or superficial. Sometimes I felt there was something artificial in her happiness, as if she were going over the top to show me that she really wasn't happy. I had sometimes imagined a moment of happiness with her. We'd bump into each other in a local bar on a summer night. We'd end up in a local nature spot. To make love. One warm summer night started as that imagined dream. I saw her further away in a bar. She was out with other girls and in a party mood. I had had several pints. My emotions had surfaced. I stood maybe seven yards away from her. In a perfectly imperfect mood, I wanted to tell her that I'd loved her from the moment I saw her for the first time. But because I had decided to be sensible after my divorce, the new me decided to keep the agony inside. I didn't have the right to break up anyone's family life. To cause pressure in a small village. To raise the embarrassment if the history lectures one day started again. I escaped from the bar, music running heavily to my head out of my headphones. I had left her behind me. But I would find her in front of me again. And again. And again. I love this town, this village. The cafes, the alleys, the flower pots hanging from the walls of all these colorful buildings. I've found my heart here. But I will never be able to reward it. And as the years roll by, I'll be in the same situation. Nothing has changed. I'll probably be in my self-constructed prison in this same place, because I can never leave here. Ever. I see myself living here even when I'm over 80. Still single. I haven't found anyone like her. One day I'll hear she has moved from here to eternity after having lived a beautiful and meaningful life. I'll sit in her memorial service and look at her picture set on the table next to the lit candle. In the picture she will still be youngish, with sparkling eyes. As I saw her. I’ll remember her electrifying appearance. Her deep, intense, warm brown eyes that always caught mine if I just happened to look her way. Her beautiful face, her slender body. When she would turn behind the crowd for a split-second to catch my look and tell me, “I've noticed you.” The electricity between us. I would have. But I can never say it. Never tell anyone. Because I never had her. And I can never leave this place even after she has died. Even when I go from place to place, further away, I will always come back. The world is elsewhere. The big world with all the possibilities. But my hometown is Love. Purchase My Hometown Named Love anthology on Smashwords. Markus Ahonen was born in 1972 in Helsinki, Finland and grew up in Martinlaakso, a suburb of Vantaa. After spending a year as en exchange student in upstate New York and studying Communications and Finnish Literature in Turku, he has worked extensively as a newspaper editor/editor-in-chief, as a script writer for Finnish versions of Weakest Link, Never Mind the Buzzcocks and They Think It's All Over, as well as a TV sketch comedy writer. 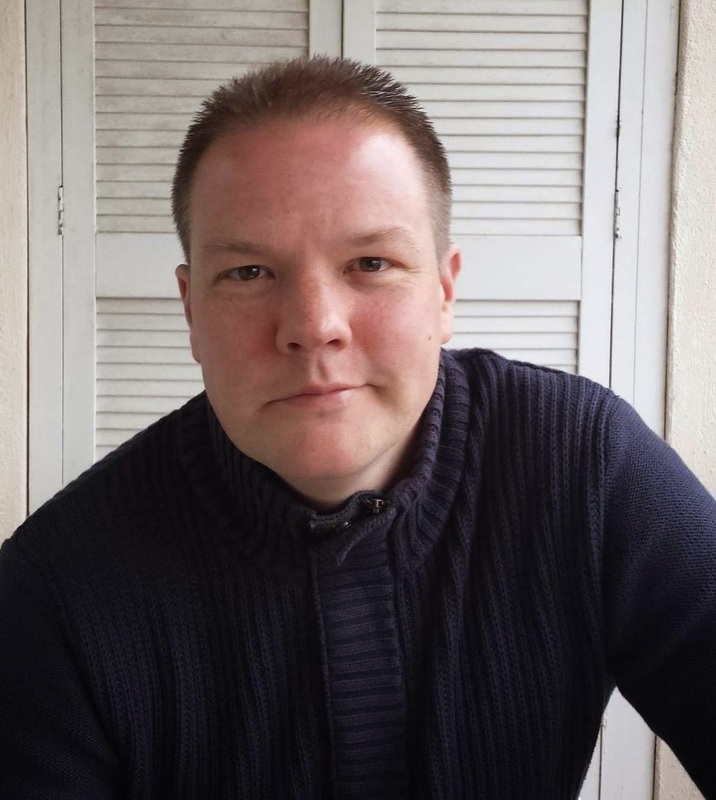 After moving to Ireland in 2006, Markus has worked as a foreign news correspondent, traveling to nearly forty countries around Europe and the globe. He is the author of six books, including crime fiction, short story anthologies, and children's books, available in English and Finnish. His first crime novel, Medusa, is one of the best selling e-books in Finland. It ranked third in the 2006 Kouvola Crime Literature Festival, and has been listed in the iTunes Finland Top 100 E-Books. It was also featured in the Apple iTunes Bookstore Best of 2012 and 2013. Markus has been a member of Irish Writers' Union since 2012. He lives in Malahide, County Dublin, Ireland with his teenage son.